We remove the worry and uncertainty of transportation management for the planner so you can focus on more important matters. 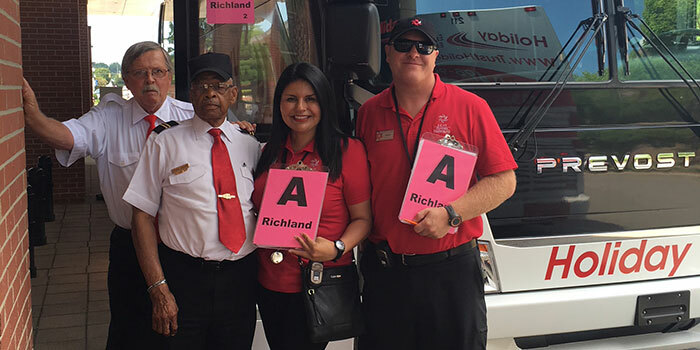 Our team of caring, skilled and experienced professionals execute every aspect of your shuttle program and continually communicate the results to you. We are committed to remaining the world’s leader in convention and event transportation. Our 30 years of experience has shown us what customers want and need. Our creative and strategic approach is one that we pioneered and are the only ones to use. This permits us to provide exceptional and efficient service to you and your guests. Delivering convention, meeting and event transportation experiences that Wow. To take the worry out of convention and event shuttle transportation. WOW through planning, service, reliability and safety. Be passionate, be determined and be committed. Foster relationships with open and honest communication. Support the community and the environment.